The Smoker Grill has vents in the sides of the lid to allow smoking as WELL as charcoal cooking! 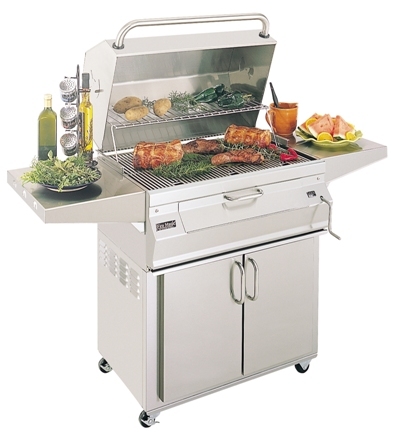 This grill offers a true 24" across the cooking surface, not the FRAME of the grill like others measure. The total cooking area is approximately 432 sq. inches. Includes a stainless steel cart with heavy duty casters, two doors, side shelves and lots of storage space.